How do you define love? How do the people closest to you define your love? Most people experience love for the first time through their family, and carry those experiences and definitions with them throughout their lives and into their future relationships. In this episode, Teddy and Tina sit down with their children, Laiah, Meela, TJ, and Santana, to get their perspective on love. When was the last time you shut out the noise and chaos of the world and made yourself available to truly hear God? In this episode, Teddy and Tina discuss the importance of taking the time to eliminate distractions and refocus yourself on what God is communicating to you, so you can more clearly and fully accept and apply his plan for you and your life. Intimacy is an essential part of marriage, and one of the most effective ways to maintain intimacy is by setting aside one-on-one time with your spouse. In this episode, Teddy and Tina talk about the importance of their “date nights”, and how even a simple night out gives you an opportunity to display love, enhance your communication, and increase your affection toward your spouse, all of which improves overall married life. In this episode, Teddy and Tina dispense advice to married couples seeking to build a strong union that will stand the tests of life and time. They discuss how marriages, new and old, with a relationship based on the Word and adhering to God’s vision for their future together, are essential. 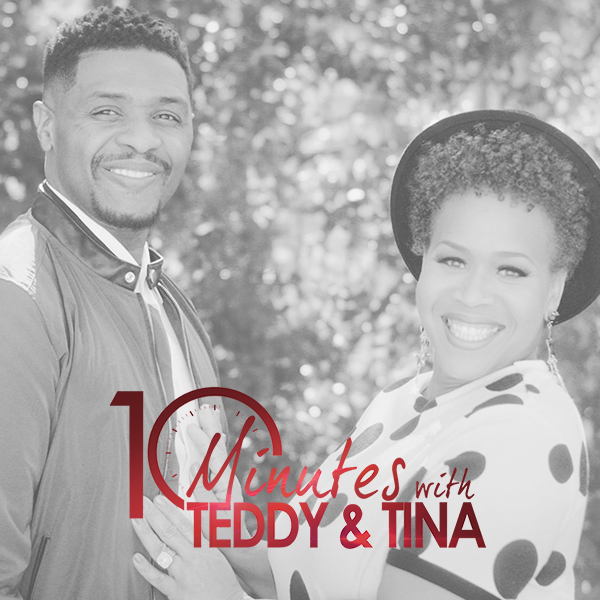 The web series, “10 Minutes With Teddy and Tina” was our response to an overwhelming and consistent demand from men and women who wanted help and healing for their marriages. Millions who had watched our reality show, saw our marital devastation become a beautiful transformation and testimony of God’s amazing love and supernatural ability to restore to life what had once seemed lifeless. Countless people began reaching out to us for insight and help with changing, healing, and reconciliation. That is when the idea came for this series. A couple of months later, we premiered the first episode of “10 Minutes with Teddy and Tina” on our self-titled YouTube channel. This bi-weekly discussion of life, love, family, and faith is focused on teaching people who God really is, what He’s like, and what His purpose is for mankind. It is full of wisdom for everyday life and is also filled with laughter while giving viewers our perspective on marriage, parenting, and Christian living. We believe it is the best investment of 10 minutes that one can make.